Are you looking to grow your real estate business? Here are 6 tried-and-tested strategies that will help you take your real estate business to new heights. If you’re starting a real estate business, you know it’s important that your new business makes money. After all, you have to have enough cash in the bank to stay alive as a business, never mind making enough to purchase that luxury vacation home in Jackson Hole, Wyoming. The question is, what are the most effective strategies to go about making that money? Below you will find a list of six strategies and tactics real estate agents use to bring in additional revenue, or to maximize their current revenue. From becoming a broker to flipping houses, we’re sure there’s at least one you’ll find useful. If you’ve considered buying a house, fixing it up, and then selling it, you’ve considered “flipping.” Many real estate agents turn to house flipping, or to helping clients flip houses, in order to generate an additional income stream. 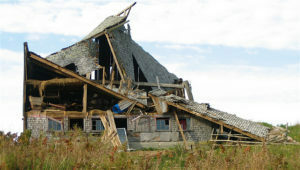 There is also a lot of risk involved in flipping houses. In order for this strategy to work, you need to buy a house below market value and you need to be able to accurately estimate the cost of repairs. Experience is everything. A good place to find houses you can flip is on the foreclosure market. Sites like MLS have a dedicated section to search for such houses. Of course, this may also be a competitive market depending on where you live. Before you buy a property, make sure you know your After Repair Value (ARV). You will probably need to enlist the help of a real estate agent to figure this out, but you can get a preliminary idea by looking at the recent sales value of houses in that same neighborhood. Before you jump into flipping houses, we recommend you read step two (below). If you can’t find deals before anyone else, you’re going to have a hard time making money. Many properties that are going to make you money are the ones you won’t find on the usual sites like MLS or Zillow. They’re the ones the owner needs to get rid of quickly, and they’re not necessarily the foreclosures. An off-market property (sometimes referred to as a “pocket listing”) might be one owned by a couple going through a divorce, or a property an owner no longer wants, perhaps because they’re leaving the country or going through financial hardship. They’re the houses that the owners can’t usually sell through traditional channels as they need to move fast. They’re the houses you might drive by with a sign out front that reads FSBO, or “For Sale by Owner.” These are your gems. Finding someone who needs immediate cash means you’re much more likely to acquire a property at below market value. It’s these properties that are going to give you the biggest return on your investment. A good way to find off-market properties is to keep an ear to the ground. After all, you never know when someone from your network of friends, acquaintances, or relatives will approach you for help, either for themselves or on behalf of someone they know. Get your name out there. Join networks like the Rotary Club and Business Network International. This way, when someone from your network is in a jam, they’ll think of you first! Beyond networking as usual, try to network and build connections with estate attorneys. They often have creditors who need access to money fast. Because of this, they’ll be much more likely to sell at a discount. Networking with wholesalers is a good idea too, as they often buy low-price properties that need fixing, almost as they become available, and make a quick profit by selling them just days after purchasing them. They’re in it for the short game, so if you’re a long game player, this could be a good strategy for you. If you’re comfortable purchasing a property at auction, check out Auction.com. You can use this site to search for both residential and commercial real estate. Many properties are priced low and are listed on the site because they’ve gone into foreclosure or they’re owned by the bank. Let’s talk about how you can make money, or how you can help your clients make money: vacation rentals. In peak tourist season, owning a property you can rent to tourists may seem like a no-brainer—you build equity in a great location and have an opportunity to capitalize on that demand. But what happens when the tourist season ends? If you’ve priced your rental too high, you’re probably going to have a barren off-season or at least an unpredictable period. All those vacancies are going to add up, especially if you’ve hired a property manager to take care of things. According to Mark Ferguson of Invest Four More, the real cost of a vacation rental is the cost to manage and maintain them. The key to a successful vacation rental is to price the property low enough that it stays rented year round. If that’s not possible, ensuring you can make enough in the good season is essential. Cash flow difficulties aside, the vacation rental market can still be a great investment. HomeAway, a vacation rental site, notes that the average homeowner on their site rents his property for 18 weeks of the year (about four months) and grosses $28,000 annually. For more than half of these property owners, that accounts for 75 percent of their mortgage each year—a fantastic investment in the long-term. Before you rush headlong into this market however, be sure to remember the ongoing costs of maintenance and management, as well as repairs. Are you equipped to do this, or can you help your clients assess the needs and risks, in order to maximize their ROI? For many people, viewing a property is an emotional experience. They have to imagine what their life might look like were they living there. If you’re marketing an empty house, you may find it hard to sell. For most clients, judgment is passed from the moment they first view a property. 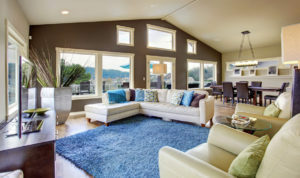 If the property you’re selling only has photographs of empty rooms, you might not be making that killer first impression, which is key to moving things along. According to a report produced by the National Association of Realtors, nearly all those looking for a house begin their search online. In this case, you’ll want to consider staging the home to look lived in. Staging is popular for a reason: Homes that are staged by an Accredited Staging Professional (ASP®) sell within 33 days compared to an average of 196 days for homes that are not staged. So, if you’re finding an empty house hard to sell, consider bringing in furniture so the potential buyer can get a better idea of what this house looks like lived in, even if it’s just for the initial photo shoot! This old-school method still works just as well today, especially if you hone in on your desired target market. In fact, it returns the same ROI as social media marketing. According to a 2017 Direct Marketing Association report, in terms of response rate, direct mail outperforms all digital channels. In terms of cost-per-acquisition, it’s also very competitive, coming in at around $19. The only downside to direct mail is how difficult it is to track where leads are coming from, or where they see you for the first time. That said, there are ways to track direct mail that may take a bit more effort or a slightly larger expenditure. 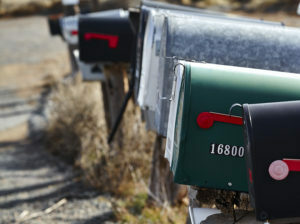 This same survey found that fewer businesses are using direct mail to target their customers. This means there’s an opportunity for you to stand out and grab attention right from the start. When it comes to becoming a qualified real estate agent, you simply have to take the tests required by your state. 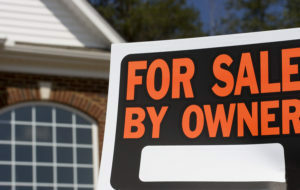 This doesn’t usually take more than a couple of months, and it qualifies you to sell property as an independent real estate agent, or in service to a larger company—though most states require new agents to work under a broker for a couple of years first. What you cannot do with this license is open up your own practice and hire other real estate agents. To do that, you have to become a broker. By taking and passing the broker’s exam, you will then be free to start your own real estate agency and collect commissions from the real estate agents who work for you. Because most brokers take between 20 and 50 percent of an agent’s commission, it pays to become a broker yourself—and not just because you could make an extra buck, but because you won’t be losing out on the money you make. 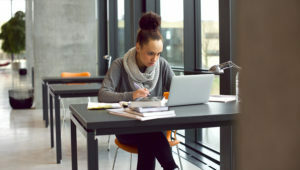 If you haven’t already written your business plan, take a look through our library of free real estate business plans. This should give you a better idea of how others are doing things—and there’s nothing wrong with filching someone else’s strategy if it looks like it’s going to work for your business!